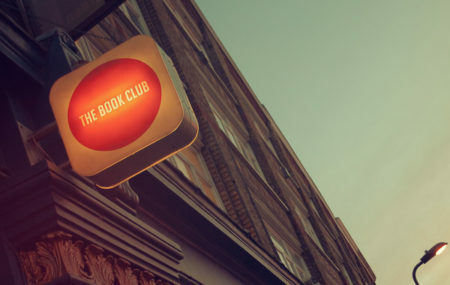 Science Fiction Book Club is an online book club on Facebook. Each month the members vote on which science fiction novel to read and discuss and a weekly discussion question is posted every Friday. There is also a weekly short fiction discussion. Members also post about other science fiction novels and science fiction topics. Group members live all around the world. Here is a Member Map. Many Science Fiction authors as well as biographers/archivists have participated in Q and A sessions with the group: David Brin, Neal Asher, C.J. Cherryh, Julie Phillips (a Tiptree and Le Guin biographer), Larry Niven, David Gerrold, Samuel Delany, The Ray Bradbury Institute, an Arthur C. Clarke panel, Lois McMaster Bujold, the Heinlein Society, an Isaac Asimov panel, and Brian Herbert.